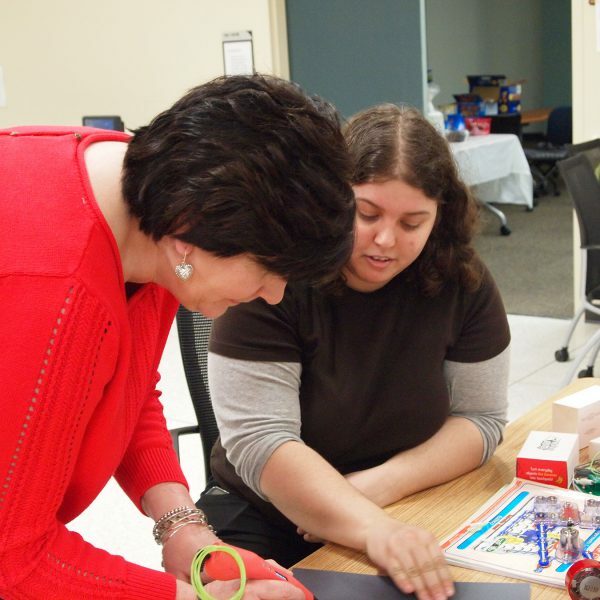 Academic libraries and makerspaces can be a great fit for each other. Though most of the library makerspaces that currently exist are in public or school libraries, university makerspaces have been on the rise, and for good reasons. Academic libraries exist to encourage and support campus scholarship; though I’ve seen some concerning articles recently about makerspaces set up in opposition to traditional library services, I think makerspaces can easily coexist in the library and that they have an important place in institutions of higher education. Access is an important part of the mission of libraries, whether that refers to books, journals, databases, WiFi, printers or even information in general. This is no different for academic libraries, and in fact, many academic libraries circulate or make available expensive technology that students might not otherwise be able to afford: laptops, iPads®, large-format poster printers, digital cameras, digitization equipment and so on. Makerspaces fit right in with this mission by providing the campus community with access to tools and technologies. Housing the makerspace in the library provides centralized access that is available to everyone. 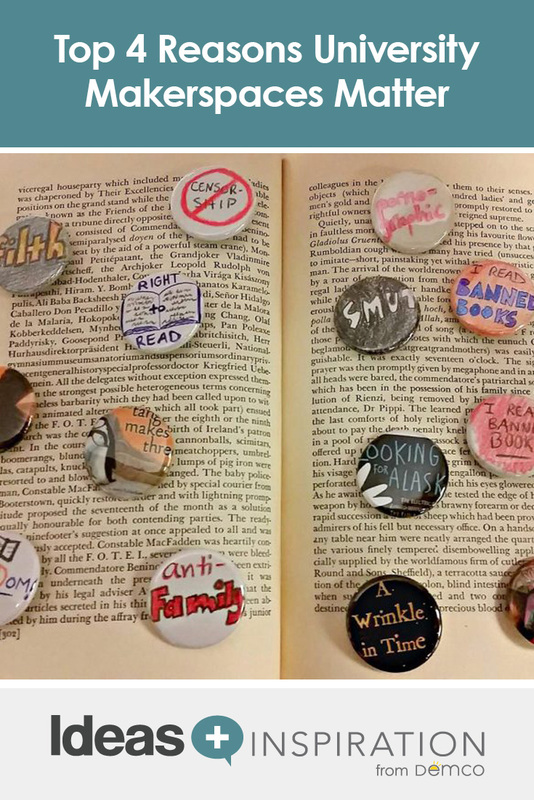 When I first set out to bring making to the library where I work, I conducted a series of focus groups to get a sense of what people’s interests and needs were. What I found was that some maker equipment did exist on campus, but it was siloed in labs and classrooms that were only available to certain departments or people taking certain classes. 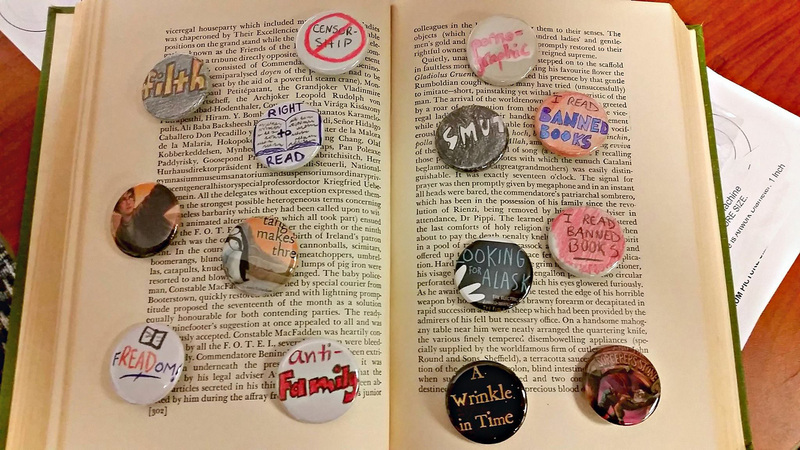 Over and over, I heard that people wanted to use tools they weren’t allowed access to — and this is exactly where libraries can step in to make a difference and create a campus-wide community of making. Teaching information literacy is critical to academic librarians, as we guide students toward becoming well-informed researchers and scholars. This is often supplemented by instruction on or assistance with other important literacies: digital literacy, visual literacy, transliteracy and so on. Makerspaces, and the process of learning through making, help teach what I like to call creative literacy, or the ability and knowledge of how to translate creative ideas into fully realized projects. Creatively literate people also know how and where to seek out information to help with these projects or learn new creative skills. Creatively literate people bring their ideas to life and contribute their talents to the world rather than functioning exclusively as passive consumers — of products, of information, etc. The previous two reasons I listed focus on how makerspaces benefit the rest of campus, but a makerspace can benefit the library itself, too. 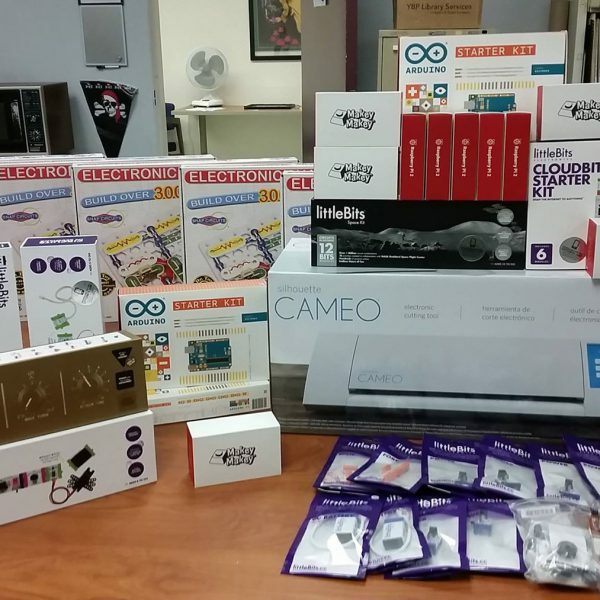 Though many people focus on STEM skills when thinking of makerspaces — and you might expect departments like Engineering or Computer Science to be interested in what you’re doing — creating a library makerspace can actually result in partnerships with some unexpected departments and units. As an academic librarian myself, I know the constant work of communicating the library’s value and services to busy faculty and staff, so anything that helps with this and makes others aware of what we have to offer is welcome. 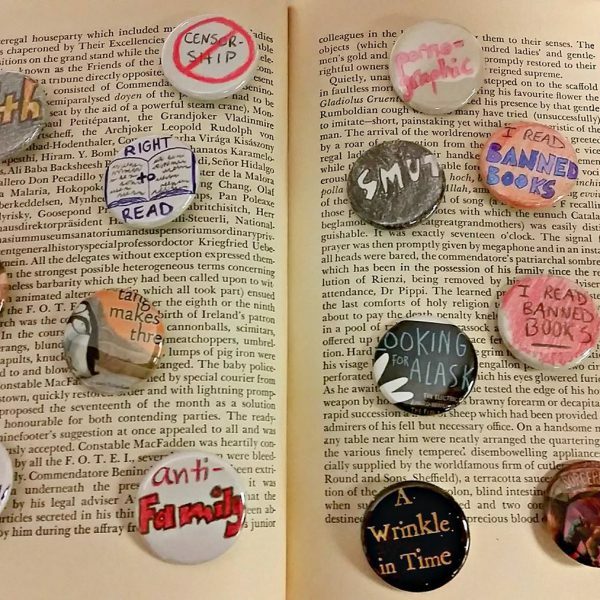 As a result of my library’s maker initiative, we recently partnered with our Creative Writing department for a Banned Books Week event — not what would come to mind for many when thinking of makerspaces. I’ve also developed quite a good relationship with one of the facilitators of our college’s STEM Mentorship program, a project that pairs college students with local middle school students, and, as part of that relationship, the program facilitator is now teaching a knitting workshop for us. Last semester, I helped students doing course projects with Makey Makeys® and Arduinos® — not for something in the sciences, but for a class in the Art department. A staff member from campus IT services will be teaching workshops on Raspberry Pi for us this coming winter. The more work I do with my library makerspace, the more I see how excellent it can be reaching across barriers and bringing the library into the rest of campus. Makerspaces are about more than stuff; they are about community. I’ve watched people form relationships by teaching each other skills or working together on projects, even across the barriers of age and campus status that often exist in academic settings. Makerspaces can make a college campus a happier and less stressful place. The library is a perfect headquarters for a community like this. There is no such thing as a one-size-fits-all makerspace, and to be really successful, your makerspace must be tied to the needs and interests of your campus community. Here are a few tips for how to get things going. Gather information about your community. This should be your first step! Just like doing collection development or making a lesson plan for a one-shot workshop, your plans need to be rooted in actual, specific needs. Consider what you’ve learned to set goals and objectives. 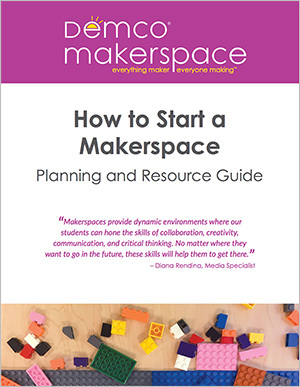 What purpose will your makerspace serve? What is your main focus? At this point, decide what model works best for you: a dedicated space, a mobile makerspace, maker workshops, etc. (or any combination). The starting equipment for my makerspace. Start small and don’t worry about trends. You don’t need a huge space with a ton of supplies immediately. Take small steps, assess your progress, and think about how to proceed. Don’t buy something because “everyone has it;” buy something because your community will use it. I started with a budget of about $4,000 from a grant, and I ended up with more equipment than I even needed at first. Form partnerships and collaborate! Librarians are excellent facilitators and guides. We aren’t experts in every subject, but we know how to help you find the experts. This is how you should approach your makerspace as well. 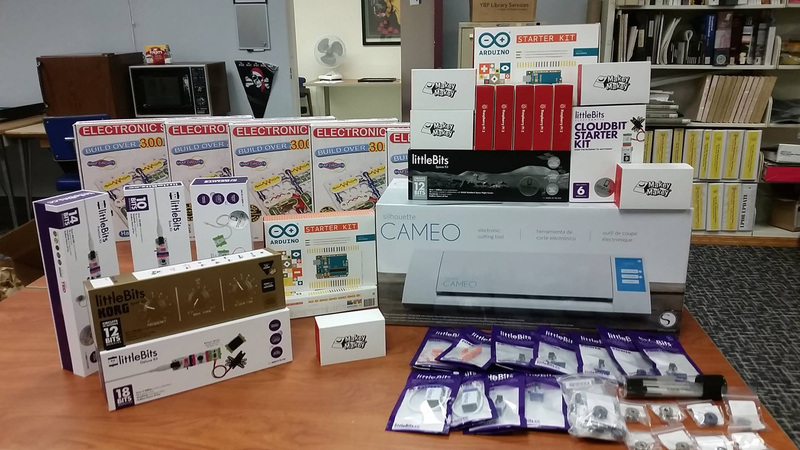 Build up a strong base of partnerships and make use of the expertise that already exists on campus to help develop a strong community about your makerspace. Makerspaces have huge potential in academic libraries, and I’m excited to see where they go as more and more institutions adopt them. I hope this advice has been helpful! Let me know where you’re at with your university makerspace in the comments. Sharona Ginsberg works at SUNY Oswego's Penfield Library (NY) as the Learning Technologies Librarian, where she spearheads the library's maker services. She is also the founder and coordinator of MakerBridge, an online community and blog focused on the maker movement, especially how it relates to libraries, schools and other educational institutions. For this work, she was honored as a Library Journal Mover & Shaker in 2015. 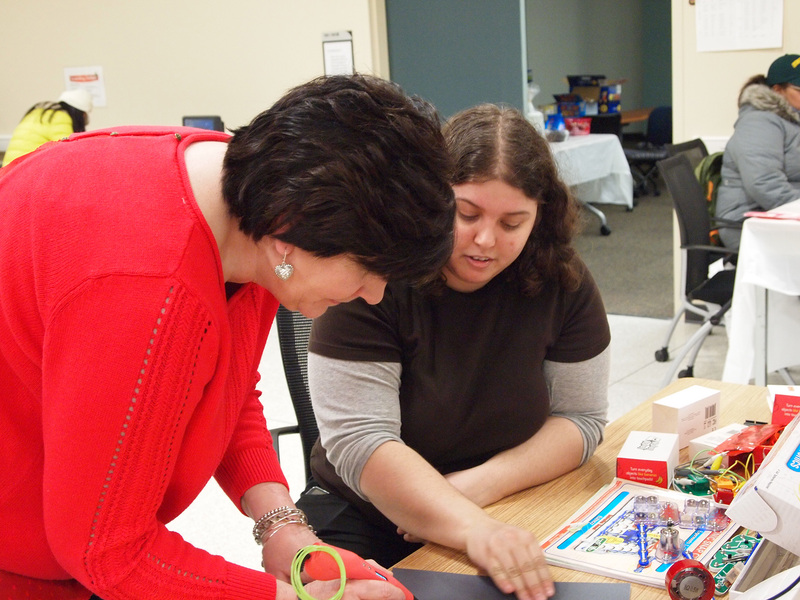 She has a special interest in exploring and encouraging inclusiveness in the maker movement. You can find her online at sharonaginsberg.com or on Twitter @linguomancer. Also check out MakerBridge (makerbridge.net) and on Twitter at @makerbridge. Previous Learn the Lean Startup Approach to Starting Your Makerspace	Next 25 Reasons Library Makerspaces Are a Good Thing!